There is an event that you might want to take part in promoting you company in Resorts World. Most especially, if you are a travel and tour operator, health and beauty companies. 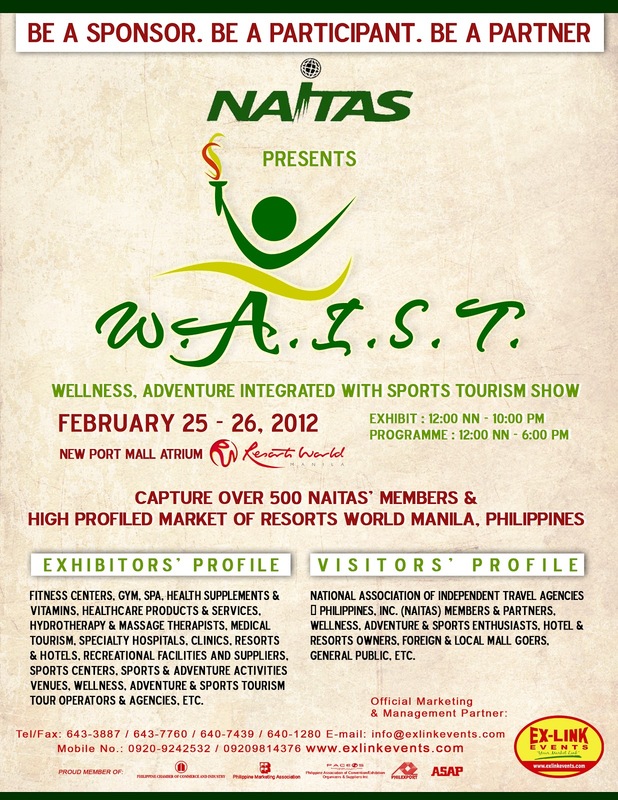 This will be this coming February 25-26,2012 at the Resorts World Manila - one of the hottest hotel and venue for events and happenings. Call tel. no. 643.3887 if you want to be a partner or participant. Limited slots only.